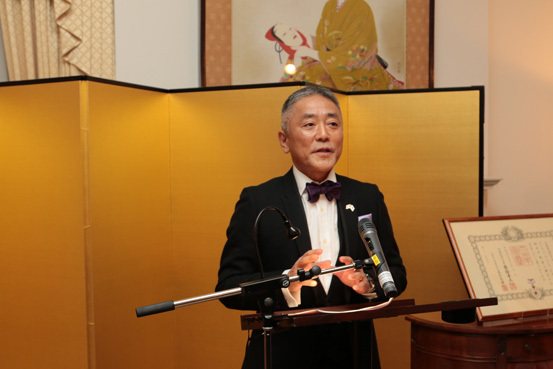 with the Order of the Rising Sun, Gold Rays with Neck Ribbon. 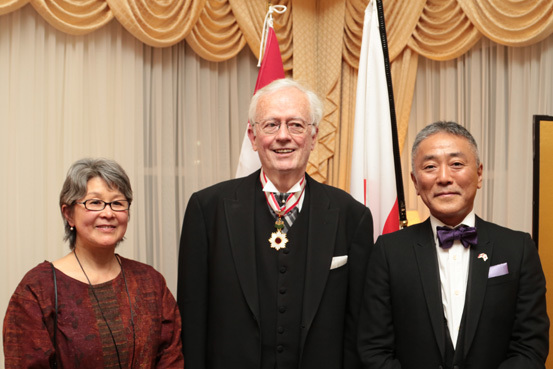 A special ceremony was held on Jan. 28 at the official residence of Consul-General of Japan Mr. Yasunori Nakayama to present Dr. Michael Donnelly, University of Toronto Professor Emeritus of Political Science, with the Order of the Rising Sun, Gold Rays with Neck Ribbon. 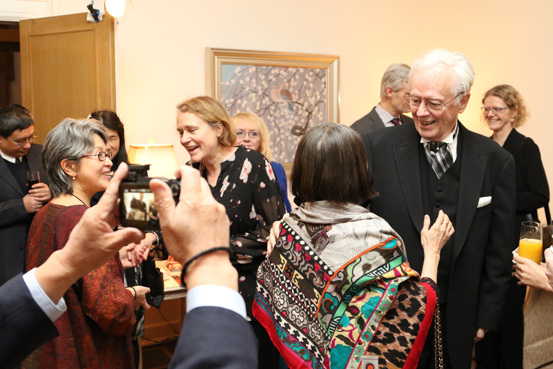 The event was attended by Dr. Donnelly's colleagues at the University of Toronto as well as other universities and think tanks, his friends and family, members of the Japanese-Canadian community and of the media. 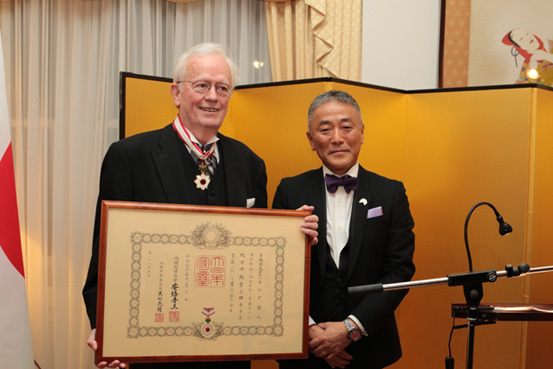 Dr. Donnelly was among the 57 foreign recipients of the 2014 Fall Imperial Decorations announced Nov. 3 by the Government of Japan. 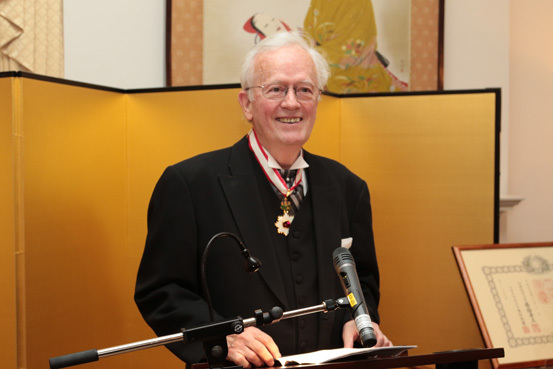 Dr. Donnelly was awarded his decoration for his contributions toward fostering greater understanding of Japan among Canadians, particularly in the field of political science, and for establishing infrastructure to facilitate Japan studies in Canada. 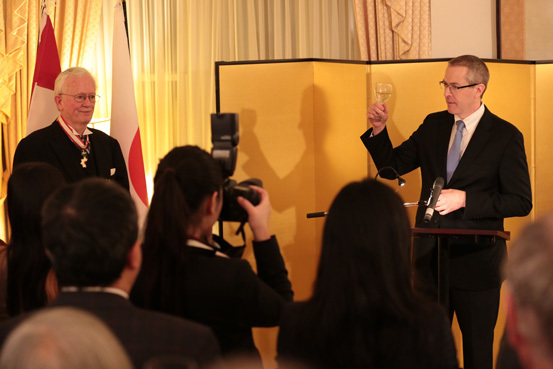 Consul-General Nakayama speaks on Dr. Donnelly's accomplishments. 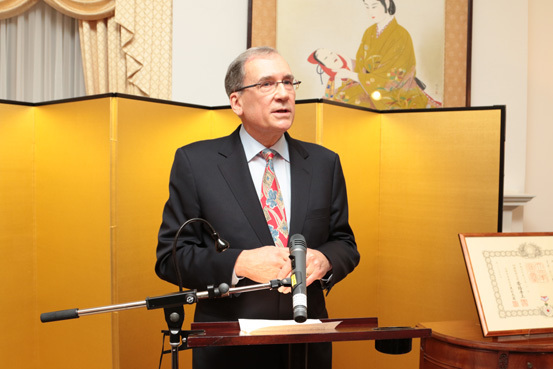 Dr. Donnelly responds with his views on Japan and Japan studies. 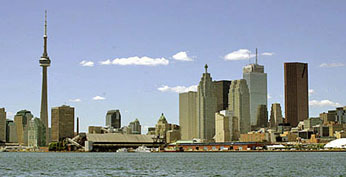 University of Toronto, gives congratulatory remarks . and of the media were in attendance to extend congratulations.